Trump Marina Hotel Casino overlooks the full service Senator Frank S. Farley State Marina and offers a magnificent view of the Atlantic City Skyline. Our amenities include 728 guest rooms, a 462-seat showroom,,seven restaurants, complete health spa with outdoor pool and a nightclub. We offer the best gaming and entertainment experience in Atlantic City. The fun begins where the Expressway ends at the Five-Star Diamond award winning Trump Plaza Hotel Casino in Atlantic City. Trump Plazas 904 guest rooms- East Tower and Plaza suites offer testament to the Trump Organizations commitment to world-class accommodations. 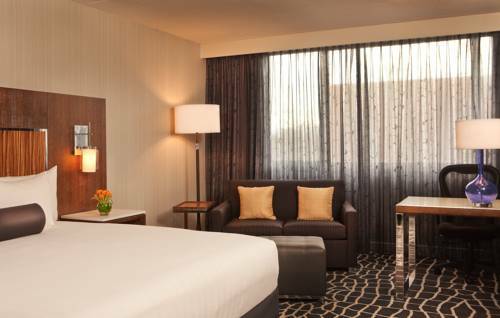 Exquisitely appointed and lavishly furnished- Trump Plazas rooms and suites promise an unparalleled guest experience. All the action guests want awaits on the casino floor. Trump Plaza offers 2 towers of gaming excitement with a variety of table games and slots on the main casino floor-a total entertainment experience. Exercise with a visit to the Plaza Spa. The Spa is expertly staffed and fully-equipped with whirlpool, sauna, steam rooms and state-of-the-art equipment. 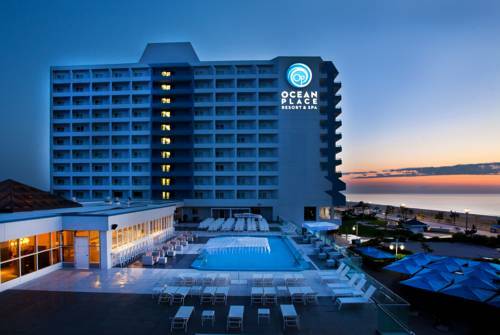 More than just a hotel on the Jersey Shore this magnificent oceanfront resort offers breathtaking views of the Atlantic Ocean. Ocean Places outstanding recreational amenities include indoor and outdoor pools whirlpools and a fully equipped fitness center. In addition with the exciting new Pier Village development directly adjacent to the resort guests can enjoy exclusive shopping dining and entertainment options as well as a relaxing promenade to take in the inspiring surroundings. Or if a beachside stroll is more your style you can enjoy a walk along the boardwalk bicycle or play in the waves along our private beach. Each room features a view of the ocean and a private balcony. Come discover the best kept secret at the Jersey Shore. The Hyatt Regency Princeton is a 329-room property located in Carnegie Center, a 500 acre office park, just one mile from the Amtrak Train Station and historical downtown Princeton. Our full service hotel is positioned midway between New York and Philadelphia, and offers a variety of attractions for your guests to enjoy while staying with us. Our facilities include a fully equipped fitness center, whirlpool, saunas, glass enclosed pool & tennis courts available complimentary to all of our guests. Our award winning Chefs continually create new menus in our Crystal Garden Restaurant for your breakfast, lunch and dinner dining pleasure. The Tudor Style Grand Summit Hotel is nestled in an upscale suburban community which has long been a favorite retreat for the wealthy New Yorkers. The original hotel was built in 1868 and the current edifice opened in 1929. Just before the great stock market crash. The nearby corporate headquarters of fortune 500 companies attest to the areas improved economic climate. More than 131 years of history echo in the gracious and traditional decor/ creating a home like ambiance for the guest.